A couple of years ago, "glowing" skin meant oily in my book, and I was doing all I could to make my skin as dry as a desert. Harsh treatments; little hydration. A huge protest later, my skin got its message across - the glow comes from within as fresh skin is revealed, is a sign of health as dead cells are cleared away, and can be achieved with active ingredients such as alpha-hydroxy acids, which increase the rate of cell turnover and replacement. The world of skincare acids can be daunting. One of the gentler AHAs out there is lactic acid, which occurs naturally in our bodies. American brand Belli Skincare incorporate lactic acid in their products. Scroll down for review of Belli Skincare Facial Wash, Eye Cream and Healthy Glow Hydrator - a harm-free, pregnancy-safe range for glowing skin. Belli's founders are a couple - one of whom is a medical doctor - who struggled with finding harm-free acne treatment when pregnant. The range is now recommended by ob-gyns and dermatologists as being pregnancy- and nursing-safe, and teratogen-free. Founded in 2002, Belli does not test on animals, and carries out a series of allergy tests in New Jersey to ensure the products are safe for pregnant and nursing women. Their website has links that show contraindication of glycolic and salicylic acid during pregnancy or lactation. The Belli Anti-Blemish Facial Wash ($22 for 191ml) contains lactic acid, green tea, cucumber, and lemon peel oil. It contains no BPA, phthalates, artificial dyes or parabens. 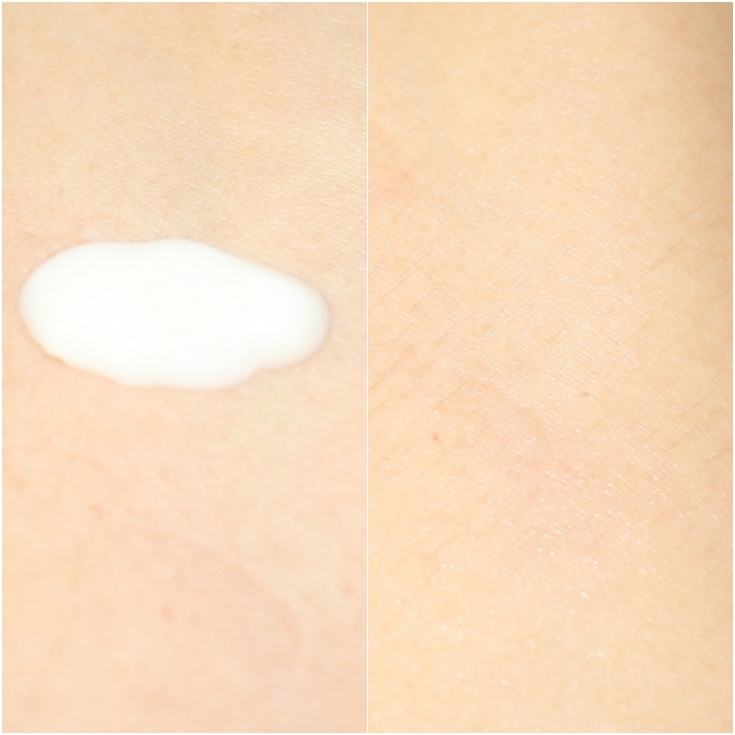 It is a non-foaming creamy cleanser, and has neither sulphates nor cocamidopropyl betaine (surfactants). This, like the other products in the range, smells like Sunday Riley Good Genes - that's the lactic acid showing through. It can be used - like Good Genes - as a rinse-off facial mask as well. I use it as a resurfacing cleanser, to exfoliate my skin very gently. It doesn't do a good job with makeup removal, I admit, but I have double-cleansing for that. It does, however, serve as a great second cleanser on days when I don't want to follow up with a dedicated acid treatment. I wouldn't use this prior to stronger acid toners or treatment, so keep the rest of the routine to hydrating toner-essence-serum-moisture and so on. The Belli Healthy Glow Facial Hydrator ($32 for 44ml) contains Vitamin C, grapeseed oil, and chamomile. It is a humectant moisturiser rather than an occlusive one, so you can always layer a sleeping pack or facial oil on top. It smells like Sunday Riley Good Genes as well. The product is thin and liquid, which is a great choice if you have skin that gets clogged easily. The Vitamin C in this hydrator is Ascorbyl Palmitate, which reduces free-radicals, especially those caused by UVB rays, and also moisturises the skin. No, I didn't make that up OR plagiarise it. Link - to place that links to the studies - is here. Grapeseed oil? Resveratrol. I have talked about the antioxidant traits of this ingredient before. Chamomile reduces irritation and inflammation. Do I feel a tingle? Mild, yes, and gentle heat for a while. No redness, though. Again, I don't use this alongside acid treatment or peel pads. The Belli Eye Brightening Cream ($39 for 4.75ml) is my favourite of the three. It contains Vitamin K. Vitamin K encourages clotting. So when there are dark circles as a result of broken capillaries, this eye cream makes a good difference. The texture is nice and cooling, and easy to spread without tugging at the gentle skin. It also contains Vitamin B3. That's niacinamide. It reduces inflammation, and fights ageing by maintaining optimum levels of two enzymes that promote cell growth and elasticity. Now for the fun part. Last year, I bought a device called "Skin Analyser SK-5D", from Amazon. It claims to measure oil and moisture content on the surface/uppermost layer of the skin, and not in the product jar/pot/tube/bottle itself. I make NO claims about the accuracy, veracity or reliability of this thing. It is fun to use and I try it out on pretty much everything in my routine, and like seeing how far products make a difference in moisture content. More on this gadget in another post. There is no point in testing the moisture content of the face wash, but here are the results of the Healthy Glow Facial Hydrator. Then, I've applied the moisturiser and waited for my skin to dry. Here are the "after" results. 10.3% to 43.4% - a jump of 33% moisture. The device is no longer red (it usually turns green but the battery is low) and has a smiley to show it's pleased with the moisture content! As you can see, moisture levels went way up after application. By the end of the day, levels had come down, meaning it was time to reapply. It would be interesting to test how moisture content varies each hour after application - something to do as soon as I retire in style. Photographing the under-eye area with one hand on the camera and one hand holding the device, with me unable to see if the readings were visible, was a task I would rate somewhere alongside fighting gravity, in terms of difficulty. Here are the B&A under-eye area results. The smiley is glum if moisture content is below 33%. I don't have to tell you I've loved using these products. You've just seen the results I had with that skin analyser - even though the process may be amateur, you can see the change! Moisture content goes up by almost four times for the hydrator, and more than double, for the eye cream. If you like chemical exfoliation, but find most options are too harsh, look no further. This range incorporates gentle lactic acid, and has no teratogenic ingredients, and keeps breakouts under control. Also, if you are struggling with dark circles from broken capillaries, this eye cream does make a visible difference, thanks to the Vitamin K. Best of all, everything is pregnancy-safe. Buy here. Belli ships worldwide. Prices have been mentioned alongside each product. Code BELLI421474 will get you 20% off their entire range until August 31, 2016 (not affiliate/reward code).